Parking is NOT available at the 3600 Wilshire basement parking lot, but there is parking lot at the structure across the street, at 672 Kingsley Dr, $5. 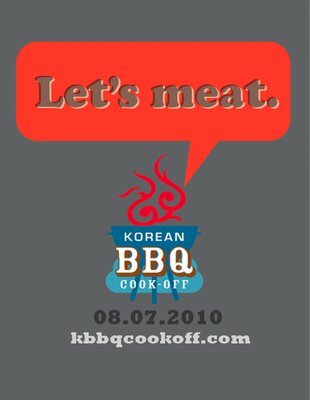 Los Angeles’s Second Annual Korean BBQ Cook-off will showcase some of the best dishes by the top Korean BBQ restaurants. Presented by the Korean American Coalition – Los Angeles (KAC) on Saturday, August 7, 2010. Jonathan Gold, a well-respected and longtime food critic for L.A. Weekly. He has previously written for the Los Angeles Times and Gourmet magazine, among many others. In 2007, he became the first food critic to win the Pulitzer Prize. Ludo Lefebvre, chef of the wildly popular restaurant event, LudoBites, has been named one of the World's 50 Greatest Chefs by Relais & Chateaux and was nominated by the James Beard Foundation for a Rising Star Chef Award. Chef Ludo has also been seen on such shows as Top Chef Masters, Iron Chef America and The Today Show. Sandra Oh, accomplished actress and Golden Globe winner for her role as Dr. Cristina Yang in the series Grey's Anatomy. She also played notable roles in the feature films Under the Tuscan Sun and Sideways, and had a supporting role on the HBO original series Arli$$. - BCD Tofu House: Sizzling LA galbi, cut across the bone. - Cherry on Top: Frozen yogurt. Your way. - Chuncheon Dakgalbi: Chicken galbi, grilled to perfection. - Coolhaus: The best ice cream sandwiches in L.A., some say. We agree. - Ham Ji Park: Mouth-watering pork ribs, the best in town. - Kalbi Burger: Burgers, KoreanAmericanized. - Olympic Cheonggukjang: Pork bulgogi, thin-sliced meat in a savory-sweet sauce. - Park’s BBQ: The One. The Only. - Scoops: Unique, utterly delicious ice creams. 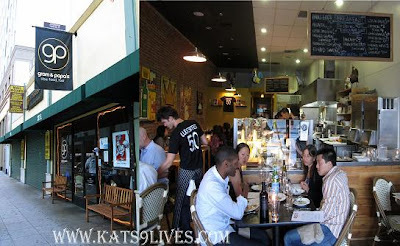 - Seoul Sausage Company: Kalbi? Inside a sausage? With slaw on top? This new company has something really interesting going on. 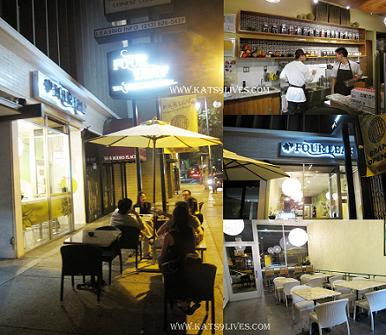 - Soowon Galbi: One of the best and most-highly rated Korean BBQ restaurants in Ktown. Barcelona On The Go - Food Truck Extravaganza In OC! Yesterday was the first and hopefully beginning of many Food Truck Extravaganza. I have been meaning to try out the hottest food trucks in OC but I get lazy about driving and monitoring where they are located. So this was the best solution ever! 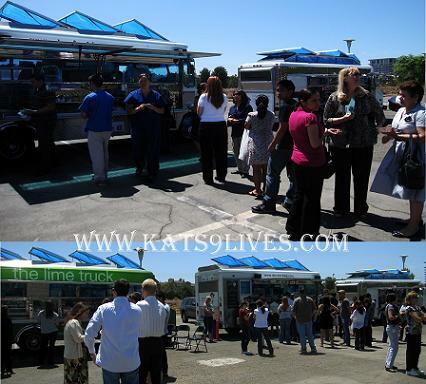 Five of the most popular trucks in the area met at 18678 Teller in Irvine, CA 92612 from 11:30 AM to 2:00 PM. This was a last minute event but many people caught wind of this awesome event to come out and join the fun. My partner in crime for the day was Anita. It's great to share food with friends because it allows us to try more things and save room for the next truck. The first truck I lined up for was the Barcelona On The Go Truck. It's been a while since I've had their delectable Spanish cuisine. Esteban was there with a smile and ready to work. Everyone recommended the Serrano Ham Sandwich. The bread was grilled to perfection with that crisp buttery crunch. Normally I disdain red bell peppers but the ham was so delicious that I could ignore the healthy factor. O=D This was great there and just as wonderful when I toasted the other half at home. 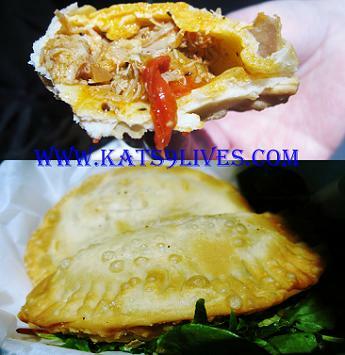 The Chicken Empanadas were the other must have that all the fellow foodies recommended. They were very fresh and juicy. The crust was thin and crisp. There were plenty of fresh filling oozing out. 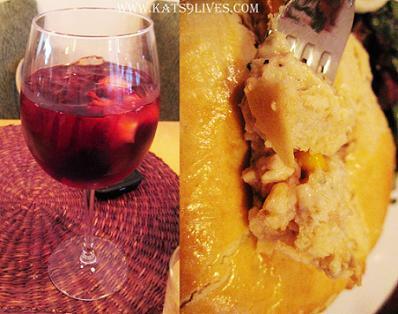 I like empanadas where the crust the doesn't overpower everything. This one had the perfect balance of crust and filling. Sharing is the best part because I got to try out a lot more of the menu. Others got the Manchego and Fig. I thought the figs were fabulous, perfectly ripe. It went great with the Manchego cheese and Balsamic reduction. Simple, tasty, and healthy. Carolyn got the Sausage on a bed of greens versus the bread. It's nice to know you have a healthier option. The sausage was flavorful and well paired. I just wished it was grilled slightly longer. Other than that it was nice and plump. One word, YUM! Thanks to Holly's suggestion and temptation! 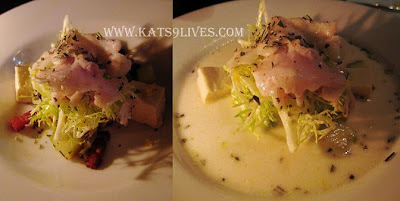 We ventured over to WoodSpoon right before our reservation at LudoBites 5.0, where we ate the menu. =D There really wasn't that much time so we walked on over for a quick bite. WoodSpoon is said to have the BEST Pot Pie around and I had to check it out for myself, even if this is pre-dinner I had to make space! I have to say I love this place! 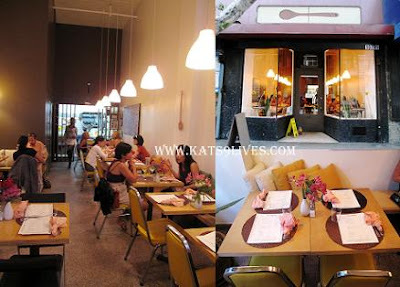 The cozy and intimate ambiance really amazed me. Was it anything fancy? Nah, but I loved the simplistic cuteness. The settings had a nice touch and I loved the fresh vibrant flowers. There's an array of pillows spread out on the seats. Everything just worked for me. 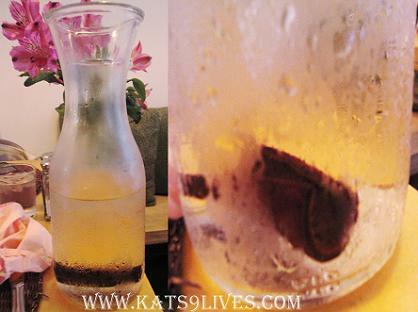 What's also very intriguing is that they add a nice stick of cinnamon inside the carafe of water, which adds this wonderful fragrant spice to each sip. Holly highly recommended the WoodSpoon Sangria. Tsk tsk she gave up on ordering food, but she couldn't pass up the drink. ^_~ Their Sangria had a wonderful fruit flavor that emanated in every sip and there was no bite from the red wine. The drink was very smooth, sweet, and refreshing. For me, I decided to give their Brazilian Coffee a taste. This took the longest to come out and we were really short on time. I really wished I had more time to enjoy and sip this freshly brewed coffee. Boy was it hot hot hot! I singed my tongue trying to gulp it down since it was the last to arrive. Still, the coffee was very aromatic and strong, not super strong but just right. Of course I had to have the Brazilian Chicken Pot Pie! Encrusted inside was Hearts of Palm, Olives, and Roasted Corn. I actually abhor olives and to tell you the truth I couldn't taste it anywhere. The crust was simply divine. It's not your normal pie crust. Instead it's a delicate and flavorful crust that melts in your mouth. I'm sure it's loaded with buttery goodness. Let's not forget the wonderful filling. There's plenty of chicken embedded with little bites of corn. Don't forget to add the spicy sauce for that extra kick. I'm still thinking about this pie! All in all I really enjoyed this place. The people were super friendly and I loved the whole vibe. Would it be bad of me for trying to add another pre-dinner before LudoBites 5.0? It's just such a far drive for me that I must pack everything in together on one trip. I definitely have to come back to try their other delectable creations. So many things on the menu looked sumptuous! I am thinking about changing my reviews. I will be shortening them since they tend to get long. Even though I love being detailed, I am not sure if it's too long for my readers and it does take a lot of time for me to write. There's always a lot of information stored up in my noggin and I am one opinionated woman! So if any of my readers want to know more or pick my brain, just ask. 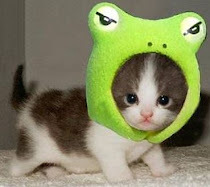 =D Otherwise, I am going to attempt to shorten my posts. I just might put more pictures up because I just love photos! Thanks for listening and reading as always! 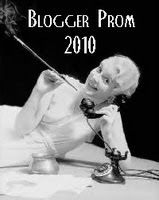 Stay tuned because I am going to start taking over Ms. Lin Guide's blog a little and force her to update as well as be the first guest blogger to open the path for other bloggers who want to guest blog! 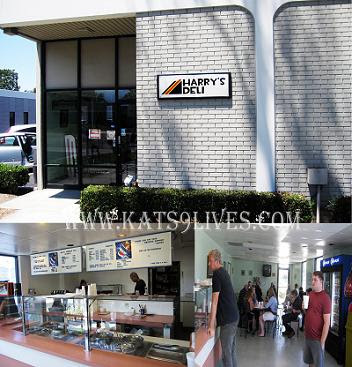 Finally able to try Harry's Deli, the talk of the town! Even better, I went with a seasoned veteran, Anita. I've been wanting to check out what all the fuss is about. It has been super hot these days but inside Harry's Deli it was nice and cool with a welcoming atmosphere. 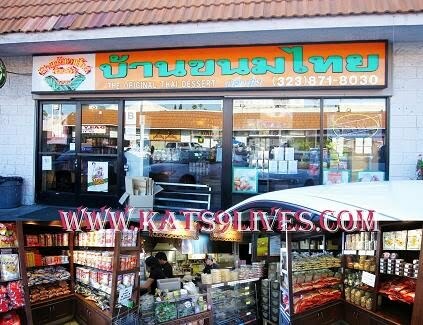 I had a difficult time finding this place, guess you can call them a true "hidden" gem? =) It's on the corner of Sky Park N. and Sky Park Circle. Don't be fooled by the exterior, contrary to belief they are not solely a business complex. There are tons of eateries embedded here. They have a great selection of hot sandwiches. The one that stood out the most for me was the Chicken di Giorgio, which was what Anita recommended too. 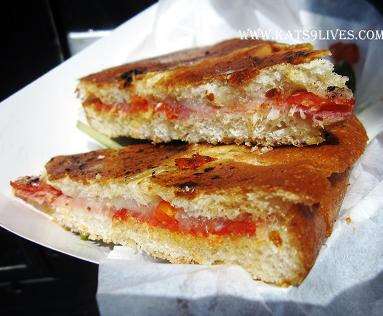 It's made with a juicy escalope of chicken, buffalo mozzarella, tomato basil sauce, and Parmesan inside a ciabatta bread. I can't stop drooling when I look at the picture of the mozzarella perfectly melted atop the chicken. The chicken was perfectly crusted and cooked to perfection. I reveled at each and every crunchy bite. Mmm! The tomato basil had a refreshing amount of garlic that really added to the savory flavor. Everything came together superbly. I have something to confess, I have been thinking about the Chicken di Giorgio sandwich for days now. The best part is that their prices are very reasonable. Harry needs to move down more South so that I may visit him more often! I promise to come 2-3 times a week if you are closer! lol Next on my list to try is Ribeye Steak Sandwich. For me, the hot sandwiches and signature creations are the way to go. Will have to keep coming until I try them all! Mark Your Calendars! 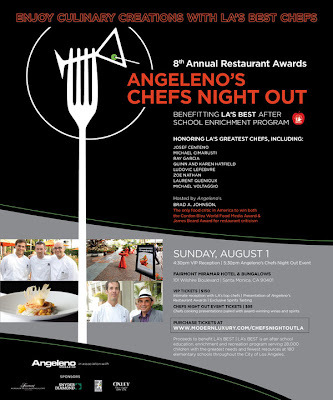 Angeleno's Chefs Night Out & More! 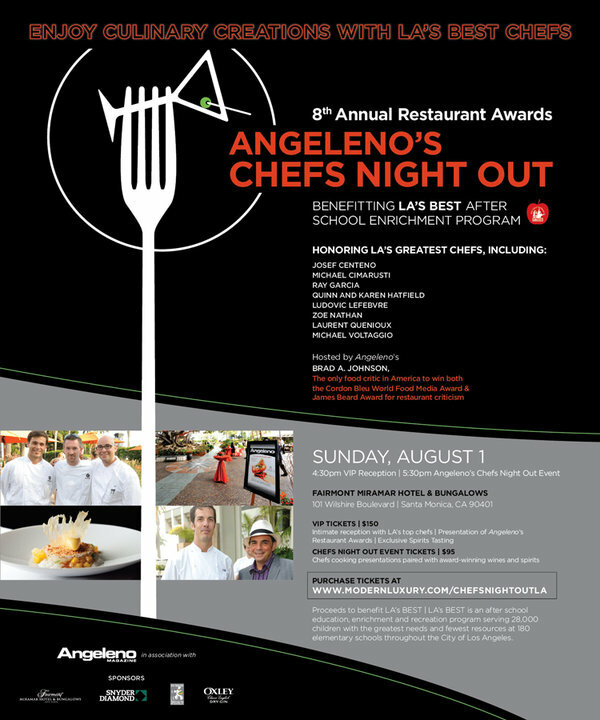 VIP $150 includes intimate reception with LA's top chefs, presentation of Angeleno's Restaurant Awards and exclusive spirits tasting. They're back with an all-inclusive tasting event, which means pay once, eat/drink from all! Enjoy street inspired samples from over 60 of LA's best restaurants, hot gourmet food trucks, old school carts and stands, and celeb chefs - all serving from beautiful tents on the field of the world famous Rose Bowl! Plus stay hydrated 'n happy with our hosted (er, meaning free) Singha beer gardens, tequila tasting tent, delicious cocktails, juices and cold beverages. To top it all off, you'll rock out with a concert from two of LA's coolest new bands for one affordable, all-inclusive ticket price benefiting St Vincent Meals on Wheels & Woolly School Gardens! To raise funds and awareness towards human trafficking. 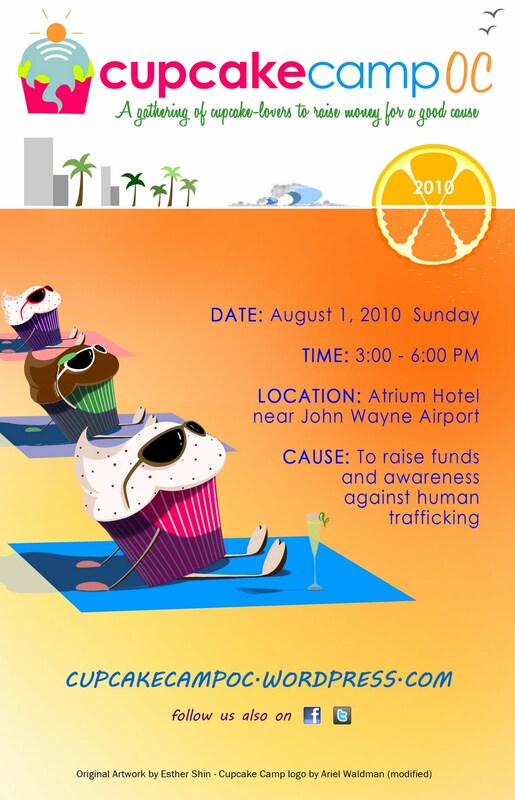 This is a charity event where everything is provided by volunteers and donations. There are many ways to participate. 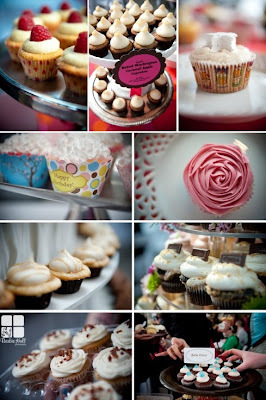 You can bring your own cupcakes to donate or just buy some. Come out to support the cause and pick up some sweet treats along the way! Orange County’s first gourmet food truck event. Get ready for 50 of the hottest trucks around town all in one place. Special portioned treats will be served at a special price range of $1-$5. Plenty of wonderful performances scheduled. Don't miss out! Proceeds to benefit St. Vincent Meals on Wheels, Pretend City Children's Museum & Child S.H.A.R.E.